Whoop, whoop…We’re an award winning design agency! Derby based creative agency threeguru are celebrating being in the international spotlight after becoming an award winning design agency. In conjunction with Lloyds Register – a leading worldwide provider of professional services for engineering and technology, threeguru have been recognised at Shell’s 2018 Maritime Partners in Safety Awards for their marketing strategy in creating LifeSavers. The LifeSavers safety initiative, formulated from 10 pillars that will provide key LifeSaver behaviours and actions to Lloyds Registers 9,000 staff, was created to rethink longstanding approaches to critical safety practices. Delivered through a suite of versatile training material and video tutorials, LifeSavers was launched to a global audience in 2017 to engage ‘hearts and minds. 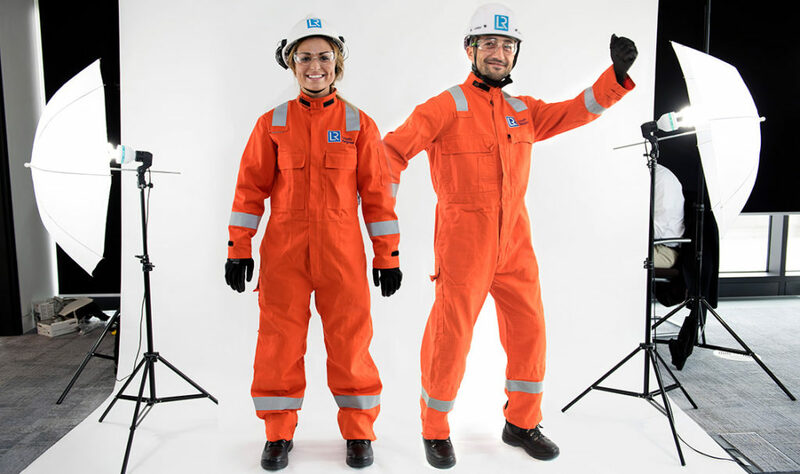 Between March and December 2017, over 3,000 Lloyds Register employees were trained using the LifeSavers training material. Shell’s 2018 Maritime Partners recognised threeguru’s skill in delivering key marketing communication that evoked an emotional connection using clear and concise visualisation. Lloyds Register is one of the world’s leading providers of professional services for engineering and technology in over 75 countries worldwide. Committed to improving safety and increasing the performance of critical infrastructures for clients, all profits generated fund Lloyd’s Register Foundation, a charity which supports engineering-related research, education and public engagement around everything they do. All of this helps Lloyds Register stand by the purpose that drives them every single day: Working together for a safer world. Shell is a major energy producer and supplier distributing and retailing fuels, lubricants, bitumen and chemicals. Shell is one of the world’s major energy companies, employing an average of 93,000 people and operating in more than 70 countries. Safety, environmental and social responsibility are at the heart of their activities, operating through three simple steps: visible leadership; procedural compliance; and learning from incidents. Presented at their Annual Supplier Safety Conference, Shell sponsors a series of awards for the best safety initiative in the year, the award Maritime Partners in Safety Award is judged by Shell and the attendees at the conference. Through collaboration and engagement, Shell’s Partners in Maritime Safety programme aims to share best practice material in order to achieve a step-change in our safety performance.